Aman, a luxury hospitality brand, is scheduled to debut Aman Kyoto on Nov. 1. 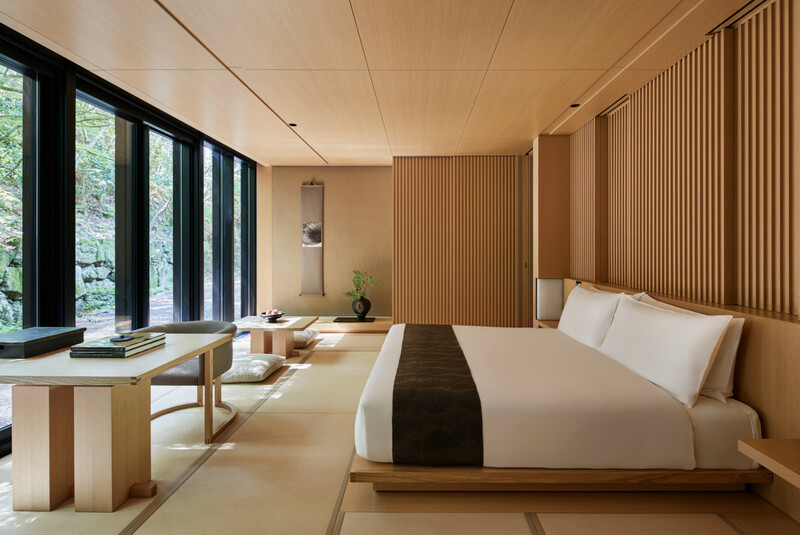 Aman Kyoto, the brand’s third resort in Japan, is located near the popular Kinkaku-ji (Golden Pavilion) temple. The 80-acre resort will comprise 24 guest rooms and two two-bedroom villas in the style of a Japanese ryokan (traditional inn) and have onsen (hot spring bathing facilities). Traditional Japanese design with a minimalist touch and neutral colors will be apparent in guest rooms, such in tatami (traditional Japanese mats) and ofuro (Japanese bathtub) made from hinoki (cypress) that is native to central Japan.